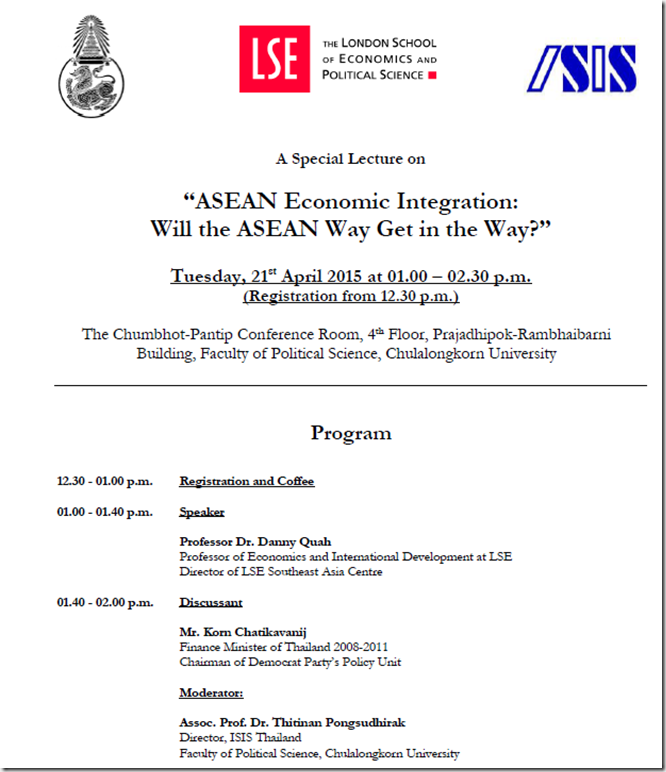 In Bangkok, as Elsewhere, Will the ASEAN Way Get in the Way? In Bangkok as elsewhere, so many are the good ideas from people around me. — at Plaza Athenee Bangkok, A Royal Meridien. 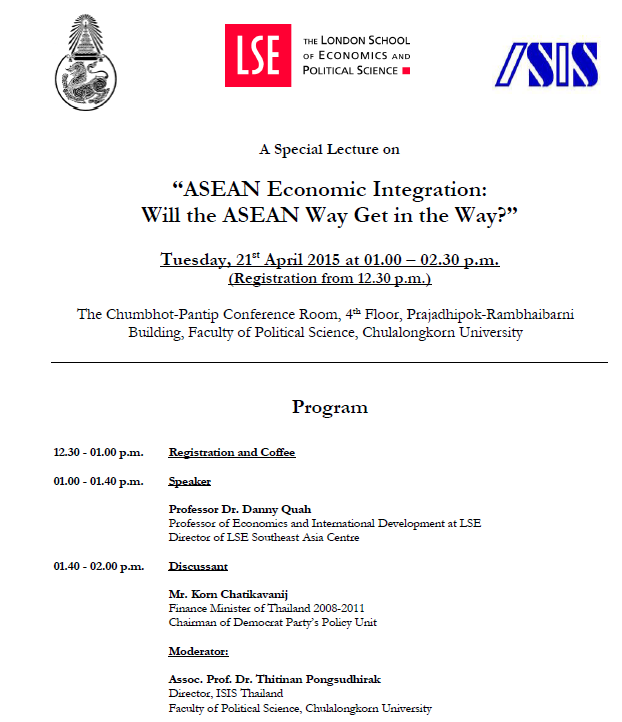 Posted on 2015.04.26 Author Danny QuahCategories ASEAN, economic-growth, world-orderTags ASEAN, economic-growth, world-orderLeave a comment on In Bangkok, as Elsewhere, Will the ASEAN Way Get in the Way?